Understated and elegant, this contemporary 10K rose gold necklace is just right. Slip it on with an open-neck blouse, your favorite LBD or even a workday mock turtleneck. No matter how you choose to wear it, it'll never disappoint. 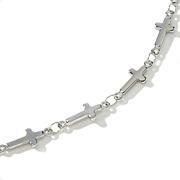 I have a few other Michael Anthony gold chains and the quality is excellent! I bought this for a rose gold diamond pendant that I have and it is PERFECT! The sparkle is beautiful!!! Very thin, I'm afraid that I may loose my pendant. 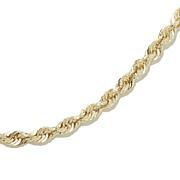 This chain has more of a Copper tone opposed to a Gold glow. I am returning this item for a refund on 03/11/17.Outside of this item I have been pleased with all the other items that I have ordered on HSN. 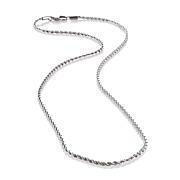 Michael Anthony Jewelry 10K 2-Tone Dorica Chain - 16"